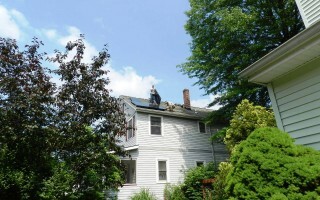 In May 2012 we put solar panels on our house. 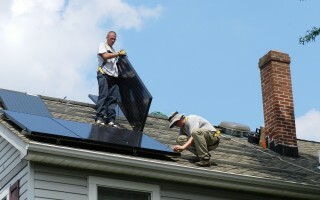 Below is information about our panels, cost, considerations and how you can get them on your roof, too! 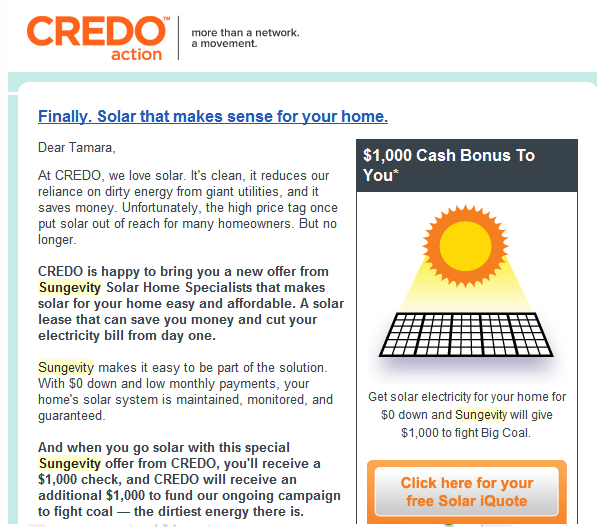 In July 2011 I received an email notice from the progressive group Credo Action promoting solar panel leasing. If you signed up during the promotion and met the requirements, you would get $1000 within 30 days of signing the lease. The same day, I received an email with the preliminary plans of my house based on satellite images! So cool. The personal login screen is very helpful. All of your information is kept in one spot if you ever need to review it. To get an accurate quote, I had to first send them my kilowatt usage for one full year. 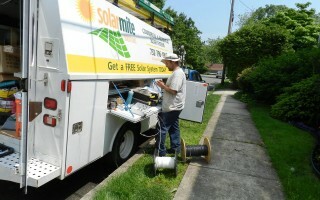 Luckily, our electric provider, PSE&G has all our bills online. The bill has a chart that shows the usage for the past year, so I just sent him my last bill. We have central air and hot water (radiator) heat. 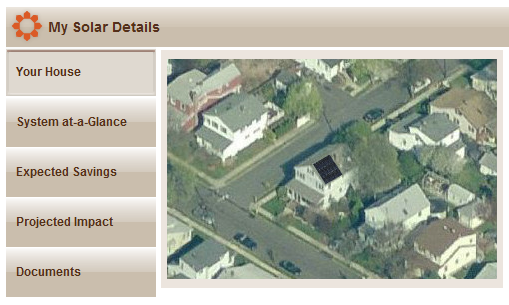 Based on my current 12 month expenditure average, Sungevity estimates the lease and your remaining electric bill. This is my lease agreement. My bill stays the same. And, I’m helping the environment! Before we could finalize the lease, Sungevity had to perform a credit check. We have good credit, so it was no problem. The Performance Guarantee and Lease Agreement were both signed electronically online. No mailing or faxing hassles! The lease starts after the system has been activated. 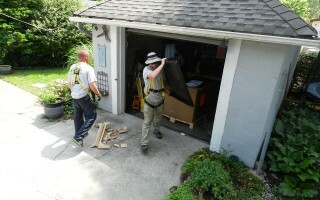 The installation process has multiple steps. 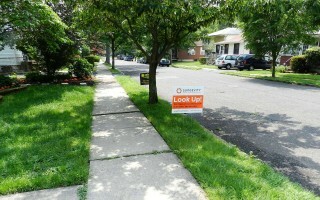 It’s probably easier to just read the Sungevity Installation Guide. The first step is that you are assigned a project manager who will contact you periodically (via email and phone) to keep you updated on the progress. Sungevity handles all the paperwork for you. 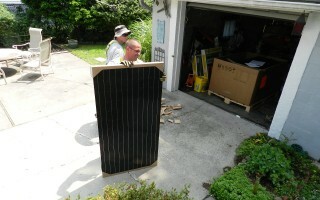 A local solar installation company comes to your house for a site visit. 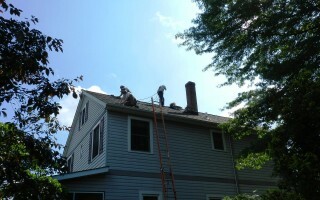 They check the roof structure and the electrical system. Once that passes, it goes to an engineering team who draws up the plans. 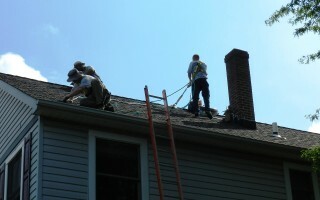 Building permits are obtained and the installation is scheduled. For us, this part of the process took a long time. It was 10 months between the first site visit and the actual installation. Sungevity had a large back log and it took a while for them to get back on track. But, really, that was OK with me! We had a second site visit (the first local company fell through) and then things really started rolling. 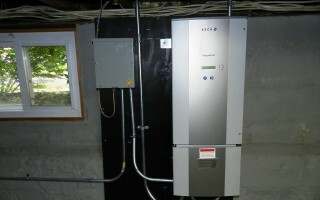 Our panels were installed over 2 days in May 2012. 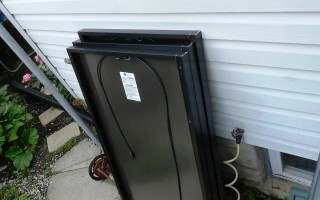 The electric hookup took another full day a couple weeks later. 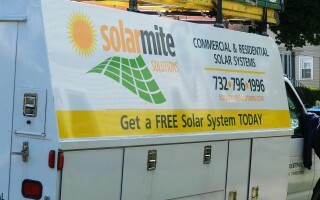 Our panel activation took place 6 weeks later by PSE&G, our local company. They weren’t allowed to touch the equipment, so we had to turn it on while they watched. There’s nothing to lose. Get your free iQuote today and get $500 cash back if you sign up.